The 2020 Democratic field is full of names — and some of them are tough to pronounce. 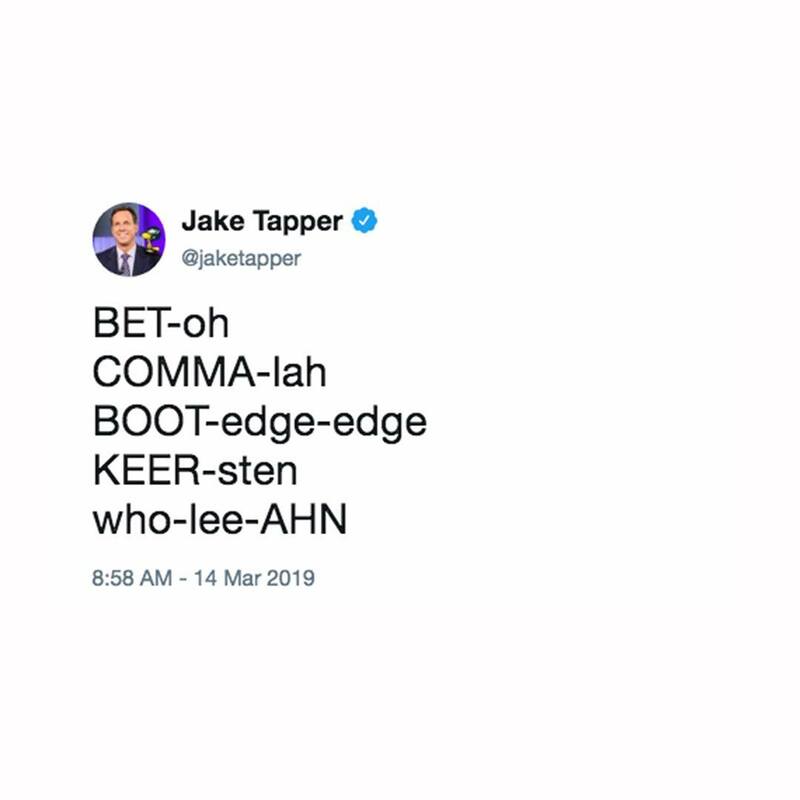 But thanks to CNN’s @jaketapper, here’s ⬆️ how to pronounce a few of them: Rep. Beto O’Rourke, Sen. Kamala Harris, Mayor Pete Buttigieg, Sen. Kirsten Gillibrand and Julián Castro. And as for Sen. Amy Klobuchar? It’s Klo-bu-shar. These six are running alongside Sen. Cory Booker, former Rep. John Delaney, Rep. Tulsi Gabbard, former Gov. John Hickenlooper, Gov. Jay Inslee, Sen. Bernie Sanders, Sen. Elizabeth Warren, Mayor Wayne Messam, Marianne Williamson and Andrew Yang.